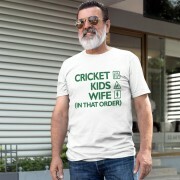 Just to leave all and sundry (not least the missus) is absolutely no doubt as to where your priorities lie. 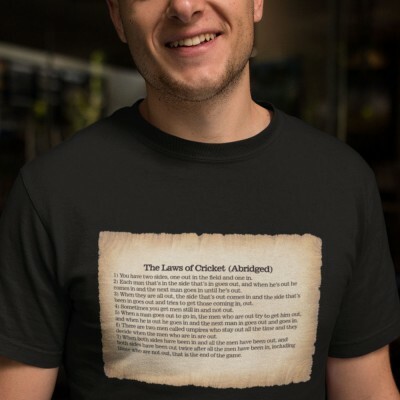 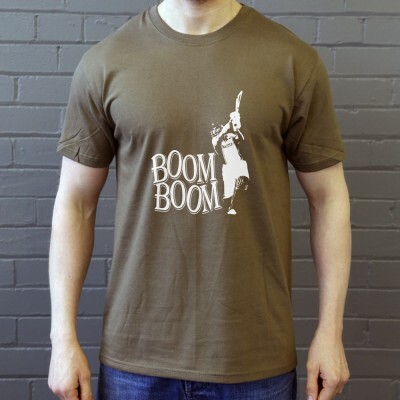 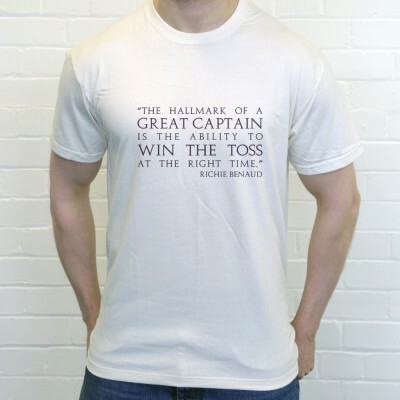 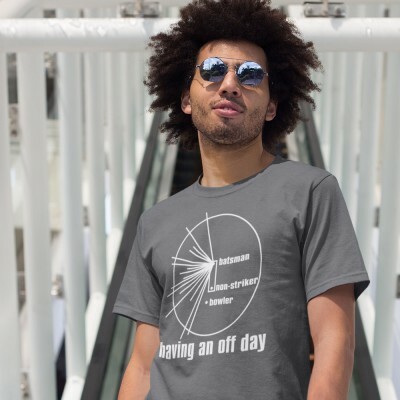 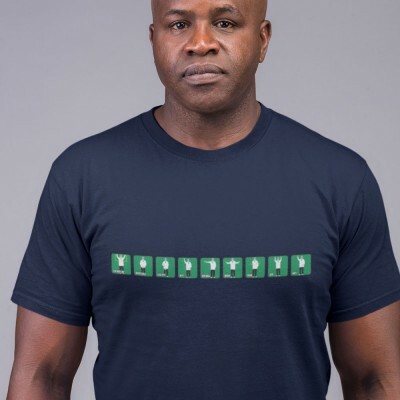 To be worn by pride by any cricketer or cricket fan with a sense of perspective, or possibly as an ironic purchase for any cricket widows out there. 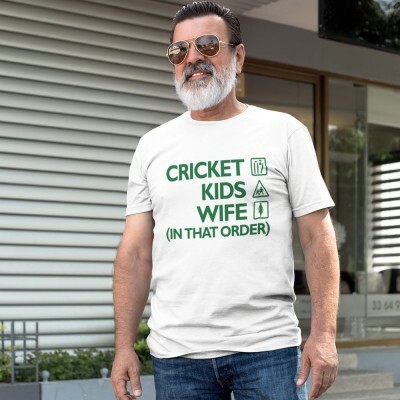 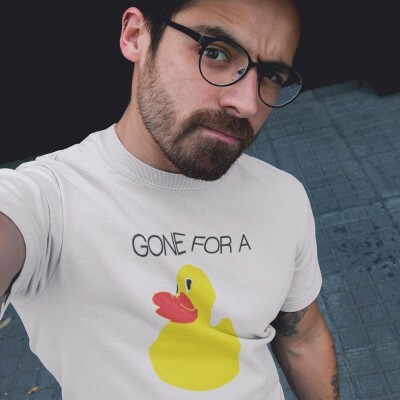 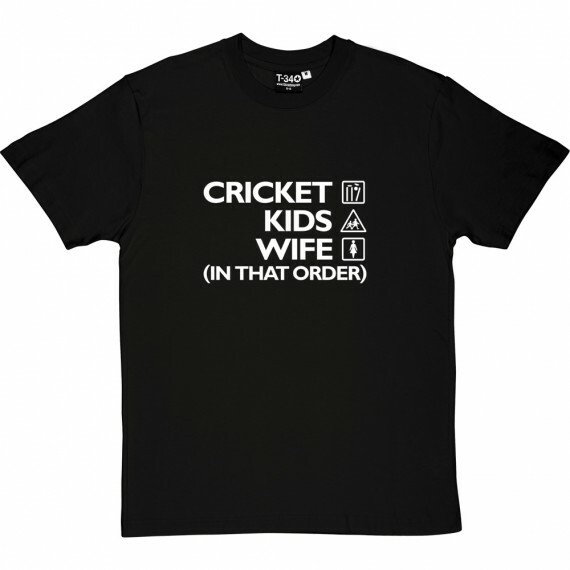 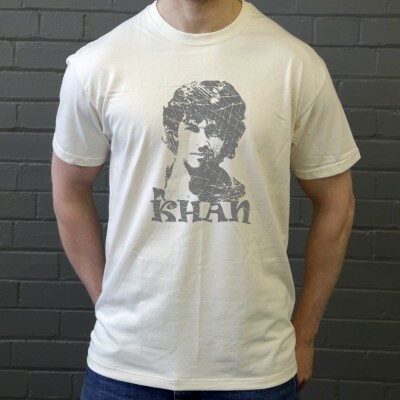 Ladies, don't despair: we also do a "Cricket, Kids, Husband" t-shirt for you too!